Steel new-old stock. This model was developed with a handy socket head for installation and removal with an extension. 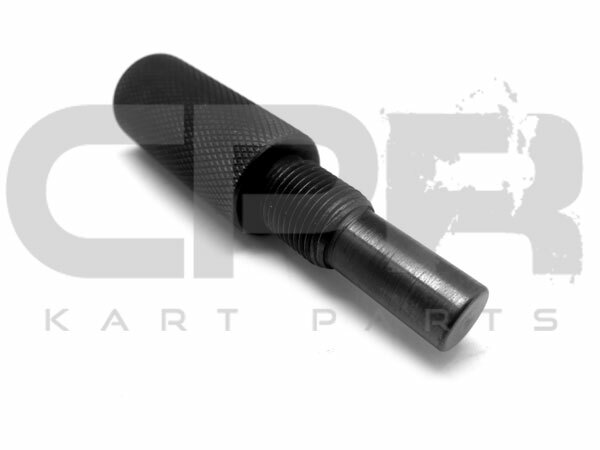 CPR crank/piston locking tools work on all engines using standard 14mm x 1.25mm pitch threads as used on almost all karting engines including Honda, Briggs, Rotax, Yamaha and loads of others. 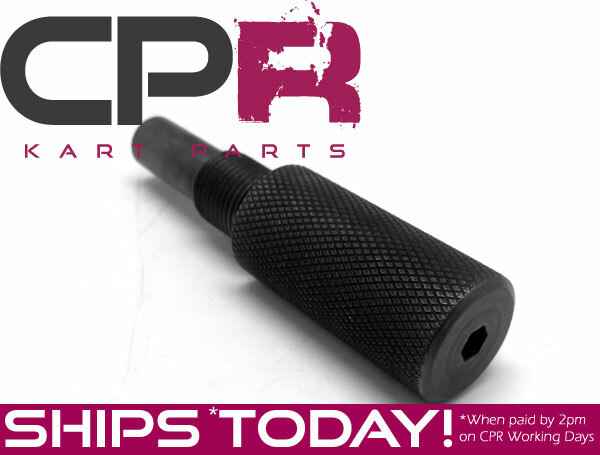 CPR crank/piston locking tools simply wind into the spark plug hole - just remove your spark plug, wind the crank lock tool all the way in and rotate your crankshaft until it stops. CPR products are considered among the most reliable karting components available in the karting industry. You can rely on our range of tools to help you drive faster. 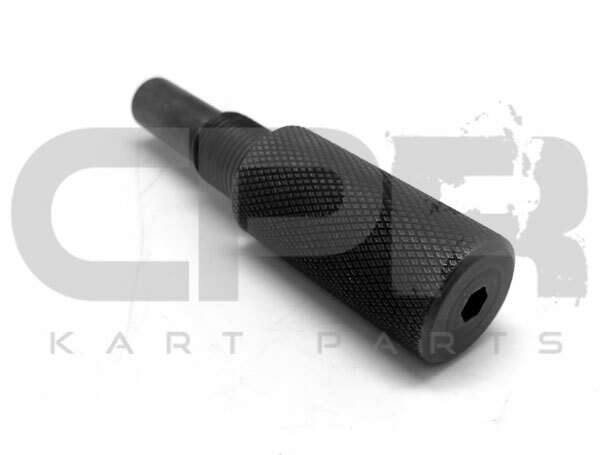 Crank locking tool (Piston Stop) to enable the fitment and removal of clutches and sprockets to and from Honda, Yamaha and Rotax engines. Easily remove your clutch and re-install with this simple lightweight and durable tool. Soft enough not to damage piston surfaces, hard enough to remain reliable. Use fingers to tighten or 19mm socket.